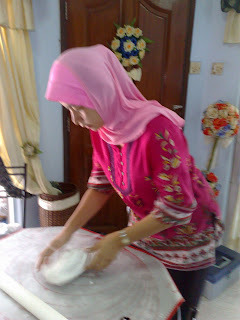 that Chef Baini is introducing starting in March 2010. 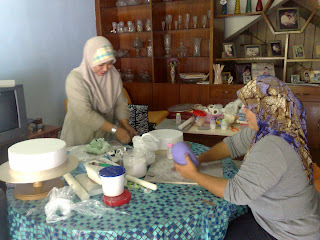 But today, let's do something different! 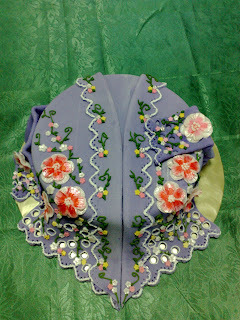 First, Chef Baini will showcase the sample Kebaya Cake that she herself made. 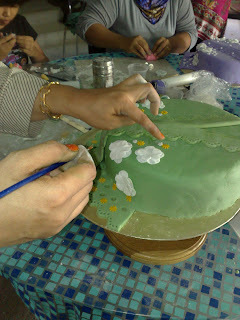 Now, please compare the finished Kebaya Cakes that her students have made. Bet you can't tell the difference, yes? That's right, Chef Baini had a trial class to see how it would go. 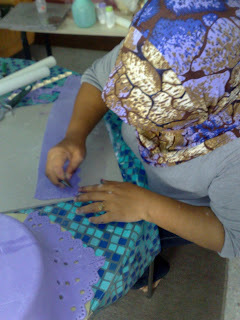 Alhamdullillah, it worked out pretty well. 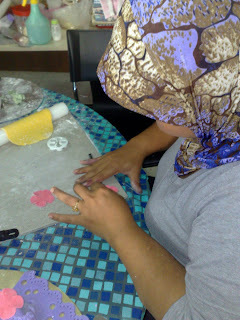 Earlier on, Chef Baini said today's blog was going to be a little different. How? Well, today, Chef is going to show you the process in reverse! Of course, it's not necessary to show them walking in the front door! 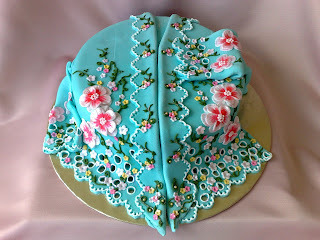 The Butler The Chef - Jalan SS19/5, 47500 Subang Jaya - Rated 5 based on 10 Reviews "I ordered banana elmond cake for my son's birthday yesterday. 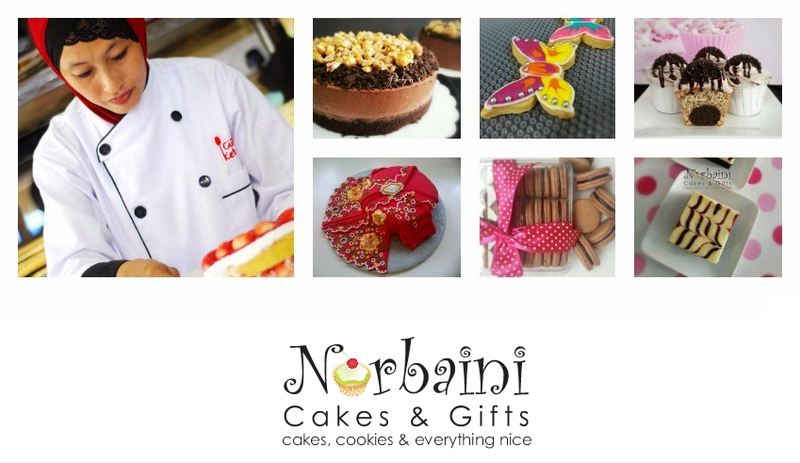 We make cakes and cookies for all occasions; from festivities to anniversaries, birthdays, engagements, weddings, baby showers, in short, any important occasion for you and your loved ones. Our philosophy of 'CUSTOMER FIRST, PERFORMANCE NOW! 'seeks to attain nothing less than your complete satisfaction. 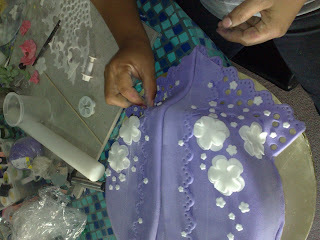 Your orders can be customised to your unique requirements. We are proud to serve you! 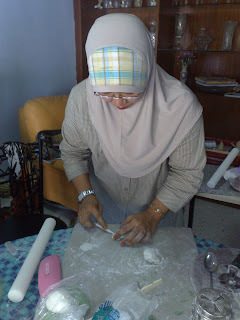 I began in 1996 baking cookies and cakes for Hari Raya Aidilfitri. 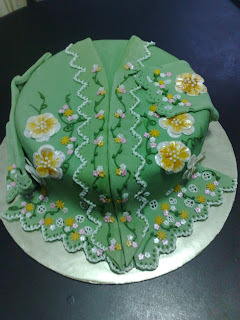 As my business grew, I received many requests for cakes, especially 'Kek Lapis', Fruitcakes and Chocolate cakes. 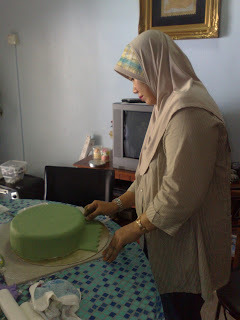 I then started to take courses held by many famous and established cake personalities; all of whom constantly encouraged me to take the plunge. 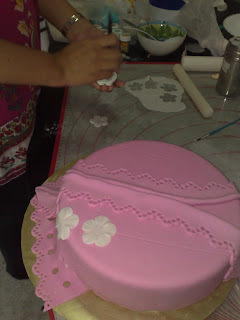 Slowly I began to attend cake decoration , buttercream and fondant icing classes ran by the established schools of cakecraft. As my clientele grew, many people egged me on to pursue a full time career, which I eventually did. I believe that honesty and hard work are the cornerstones of success, along with the outstanding support of my clients and customers whom without, my journey would have been impossible. Thank you, from the bottom of my heart. I am here because of you. 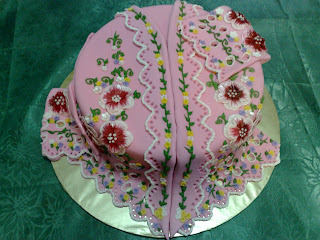 ARE YOU INTERESTED TO LEARN BAKING, CAKE DECORATIONS PERSONALLY WITH ME? MENU - Please click on the links to find out more.